Hello! 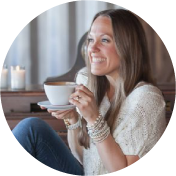 I am joining the Ultimate Blog Party to meet new friends and continue my mission of equipping moms with magical ideas to help them build happy homes! If you’re wondering what the Ultimate Blog Party is, go HERE and find a gazillion links to other amazing blogs who are partying too! At the Happy Home Fairy, whether it’s a tradition idea (I will seriously load you up with more magic than you can handle for every holiday you ever thought possible), a craft idea, a recipe idea, a fairy idea (a thought that God teaches me along the way), or a date idea to help you have a Happy Hubby – you’ll find just the tools (I even have lots of free printables!) you need to celebrate every day with your family. Above all, I love sharing how your Happy Home can enjoy the wonder of Jesus at the center of all this Happy Home magic! To read more about me go HERE. To visit my Easter Egg-stravaganza (going on right now!) go HERE. Prev Post Easter Morning Scavenger Hunt – FREE Printable! What a great resource your blog is! I am visiting from the blog party. I am going to follow you so I can come back often. First I wanted to thank you for the sweet reply you sent to me after I commented on your blog a few weeks ago! I loved hearing from you! Second, I’m so glad you posted about the Ultimate Blog Party! I had never heard of such a thing, but I linked right up on my own BRAND NEW blog! I’m so excited to check out a ton of the participants’ blogs! Oh, my new blog is justamormonmomma.blogspot.com in case you were interested! Lovely to meet you through UBP. This is my first year and I am enjoying finding so many great blogs, like yours. ps. your blog button is adorable. Coming over from the UBP. I am sooo excited to find your blog. I am always looking for things to do with my kiddo! I am going to be looking at your Egg Hunt and printing one of them out this week . :) Thanks for all you do and hope you can stop by Our Journey! I’m visiting from UBP #372. It’s awesome to meet you!